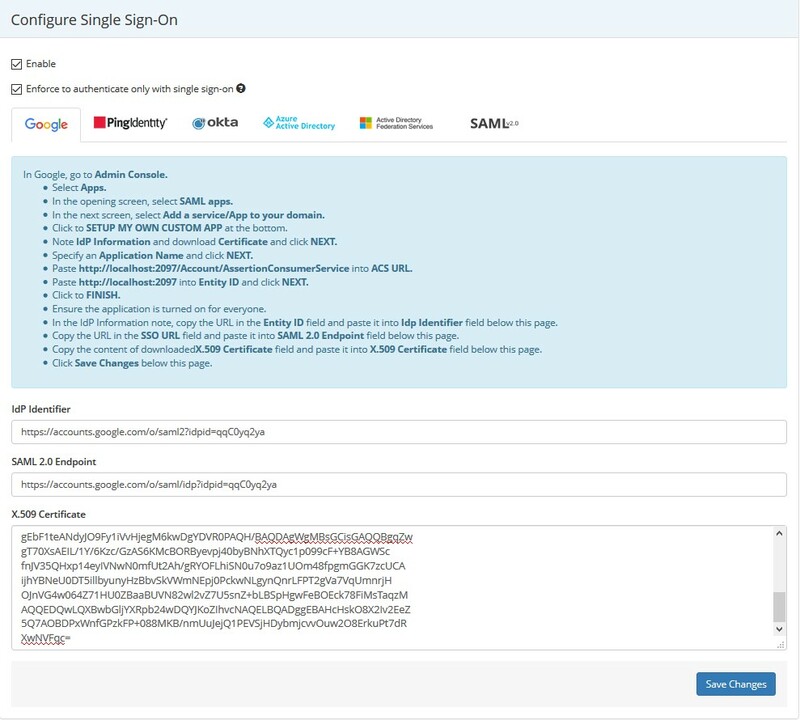 Click SAML. 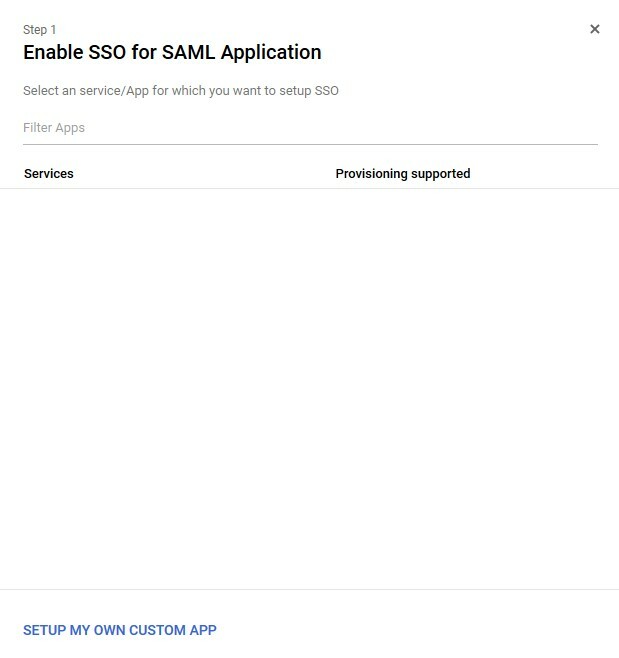 The SAML Apps settings window is displayed. 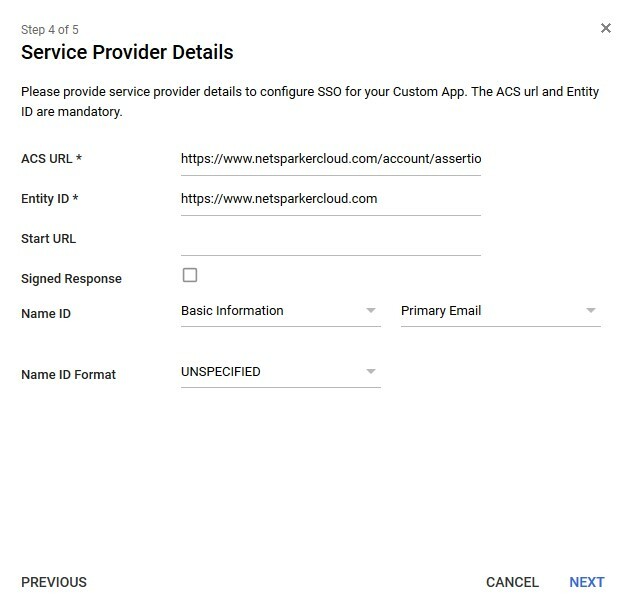 In the ACS URL field, copy and paste in the contents of the SAML 2.0 Service URL field from Netsparker Enterprise's Single Sign-On window. 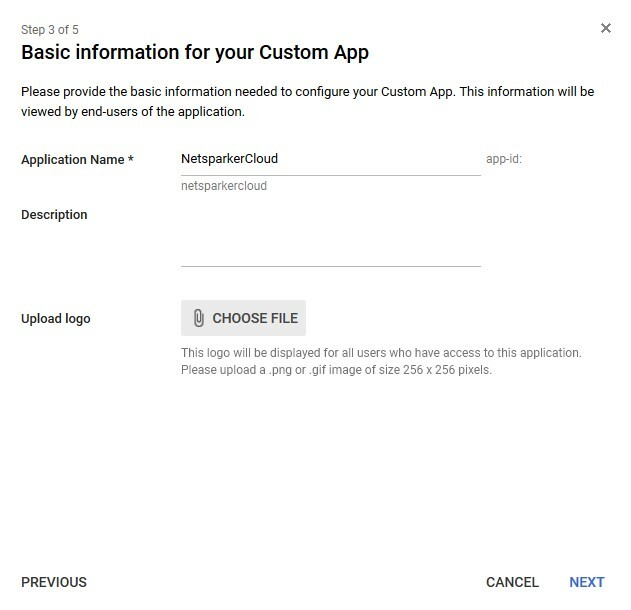 Then log in to Netsparker Enterprise, and from the main menu, click Settings, then Single Sign-On. 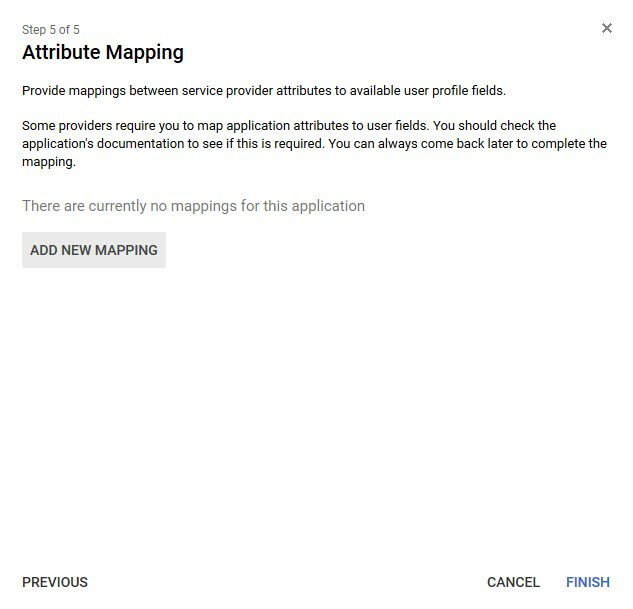 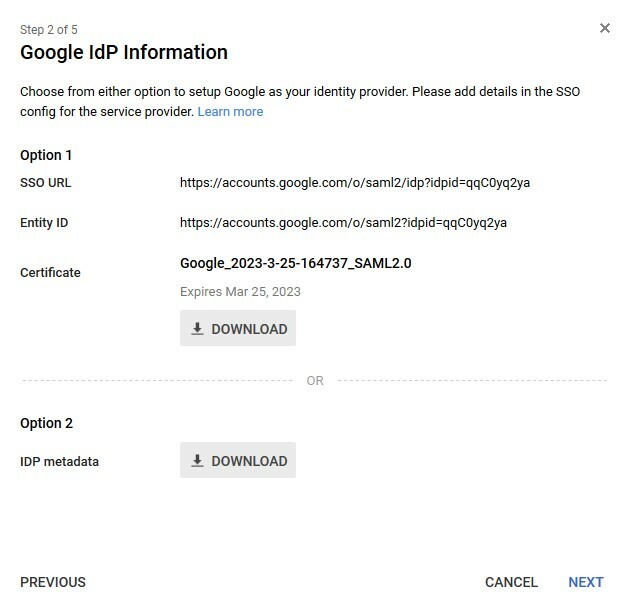 Select the Google tab, and paste the URL into the Idp Identifier field.